So many times in my life, I haven’t gotten what I wanted. Mix in a dash of clue, a half cup of hindsight, and I can see very plainly how great it was I was denied. I may not have realized for months or even years later, but it served me, bigger picture. The guy I wanted to be with forever? Lunatic. Start raving? That great job I had to leave? Ultimately led me to my husband. It’s just been like that, one thing or another, as long as I can remember. Dents and scratches at the time, uncomfortable, but if you take a wide enough lens, thank God it went down how it did! I don’t think it’s matters if it’s “grand design,” although it’s certainly pleasant to see it as such. Or if it’s because I made a conscious decision, for each strike to be recycles as strength. To me, free will is part of grand design. They are inseparable. Today’s Tarot is the reversed Wheel of Fortune (Jupiter) and the Four of Wands (Venus in Aries). Bad luck for an upcoming ceremony? Eh, it could be, but I’m thinking not so much. More like what LOOKS like bad luck becomes the foundation for your next step forward. It leads to an toast-worthy moment, you know? Trial by fire. It may get hot, but do hang in. Look for the sweet spots and focus with gratefulness for where you find them. It ups your vibrational amp. Any world weariness goes down easier if you remember, the Wheel always turns. What goes down, also comes up. Pay attention, stay in your grove and it’s a smoother, quicker trip. There’s always something to celebrate, if you take the time to look. You had bad luck that turned out to be not-so-bad? Well, heck. We’re still in the land of “almost but not quite” happy cards, much like yesterday’s reversed Two of Cups. We can still work with this, though. Specifically, we’re looking to remove obstacles. Today’s Tarot forecast is the inverted Four of Wands or “Lord of Perfected Work,” associated with Venus in Aries. This is love (Venus) demonstrated through action (Aries). Sometimes called “the Wedding card,” although it can refer to other milestones and events, or even a situation. 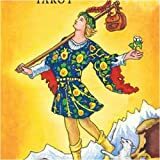 As one of the Tarot Fours, we’re looking at stability, although seeing this card inverted, the idea we may be missing some little thing that prevents unfettered joy and comfort is a distinct possibility. Me? Right now I’m feeling a little overloaded—my connections are worthy and worthwhile, and I have plenty of good in my life to be grateful for. But energy expenditures are not yet clearly “married” to goals—my focus remains diffuse and scattered, not fully matching up with what I want to build. So you know, I’m happy, I’m doing well, but…I’m not quite where I want to be yet. My antidote here is prioritizing commitments according to my future focus—I’m putting together the life I want. Are you feeling at home/dixiblog/domains/afoolsjourney.com/public_html with your commitments?